Skullsmasher has an endless appetite for combat, and for Autobots! He doesn't need blasters or other weapons -- he would rather defeat his enemies by devouring them. He isn't the quietest Decepticon, which can make catching his targets harder. Titan Master Grax makes Skullsmasher invisible to the Autobots by masking his energy signature. When they team up, it's time to chow down. Prelude: Skullsmasher was originally known as Skullcruncher in Generation 1. Either Crunching is somehow too non-PG for today’s kids or, more likely, there are trademark issues with the original name. Robot Mode: Let’s start with the fact that Skullsmasher holds a great deal of resemblance to his G1 predecessor Skullcruncher. He is a bit smaller and the colors are a shade darker, but the two figures are clearly meant to portray the same character. Naturally Skullsmasher is a good deal better articulated, as you would expect from a modern-day figure. Sadly quite a few Skullsmashers, including mine, have pretty loose leg joints. Not so loose that they impede his stability entirely, but it can be a bit of a chore to put him in certain poses. Some people have also complained about wobbly knees, but I suspect that they simply forgot to tab in the knee joints correctly after transforming him. Like his G1 predecessor Skullsmasher is armed with a gun and the tail of his crocodile mode, the latter of which becomes a rifle this time instead of a short sword. When the tail is not used as a weapon it can be plugged into Skullsmasher’s shoulder (which looks stupid, so I didn’t take a picture of it). There is also an undocumented feature that Skullsmasher can slide his tail over the crocodile toes on his forearm (also not pictured, because I only found out about it after the photo session), which looks pretty cool. 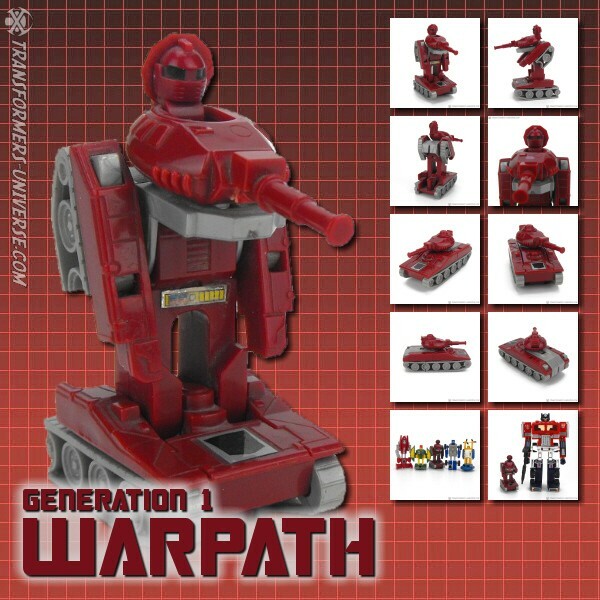 Overall Skullsmasher is a robot that perfectly captures the look of the G1 figure and updates it for modern times. If the legs were less loose, I’d have nothing to complain about here. Alternate Mode: Skullsmasher still transforms into a robotic crocodile (or alligator? Can never tell the difference). Look-wise there are again very few differences to the G1 original except the size, but this crocodile here is actually articulated. The head is on a joint so it can move, the opening mouth does not contain the cockpit for the Nebulon / Titan Master, but rather a sculpted tongue, and the tail, while one solid piece, is plugged in so that it can move sideways, too. The tiny little legs can move a bit, too. The robot gun is stored inside the tail, so it doesn’t get lost. As mentioned the cockpit for the partner figure is no longer in the mouth here, but rather farther back in the middle of the body. For some strange reason, though, the designers decided to make the cockpit flap from some rubbery material instead of plastic. Not sure what the idea was here. It doesn’t really make much of a difference look-wise, but the rubbery panel was already a bit warped to begin with and opening and closing it is a bit of a chore, especially if you want it to close properly. Not a big thing, but a bother. So overall a nice crocodile mode. If the cockpit panel were solid, I’d have nothing to complain about here. Partner: Skullsmasher’s Titan Master partner retains the name of the G1 Headmaster partner, Grax. Grax is a typical Titan Master figure with ball-jointed shoulders and joint knees, looking about as good and detailed as a figure this size can reasonably be expected to be. He is, of course, compatible with all other Titan Returns Headmaster figures. Interestingly enough while he does strongly resemble his G1 counterpart, he has switched colors, having a dark green torso and black limbs where the original was the other way around. So overall a nice, average Titan Master figure. Skullsmasher’s tail and gun combine into a gun emplacement for Grax to sit in, which can also connect to the base modes of Leader-Class Titans Return figures. Remarks: Skullcruncher was one of the original 1987 Headmasters, but only had a minor role in both the cartoon and the Marvel comics. He did have more of a presence in the Japanese Headmaster cartoon, where he and his fellow Destron Headmasters blew up the planet Seibertron (Cybertron’s Japanese name) among other things. More recently he’s been seen in the IDW comics where, after the end of the war, he turned himself into a stand-up comedian called “the Self-Hating Decepticon” and went on his “No Hard Feelings” Tour, making jokes about Megatron joining the Autobots and the Infiltration Protocol. Apparently he’s now a billionaire. As a toy Skullsmasher is nothing more and nothing less than a pretty good update of the classic G1 Headmaster. I would have considered an A-rating for him, maybe, if not for the loose leg joints and that strange rubbery cockpit panel. Even so he remains a good figure and I definitely wanted to get all three classic Decepticon Headmasters, so Skullsmasher was a given. Even without the G1 nostalgia, though, he is a good choice.